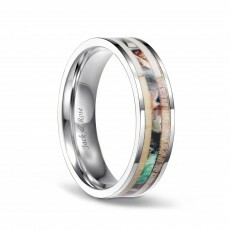 This titanium wedding ring is available in 6 mm and 8 mm bandwidths. 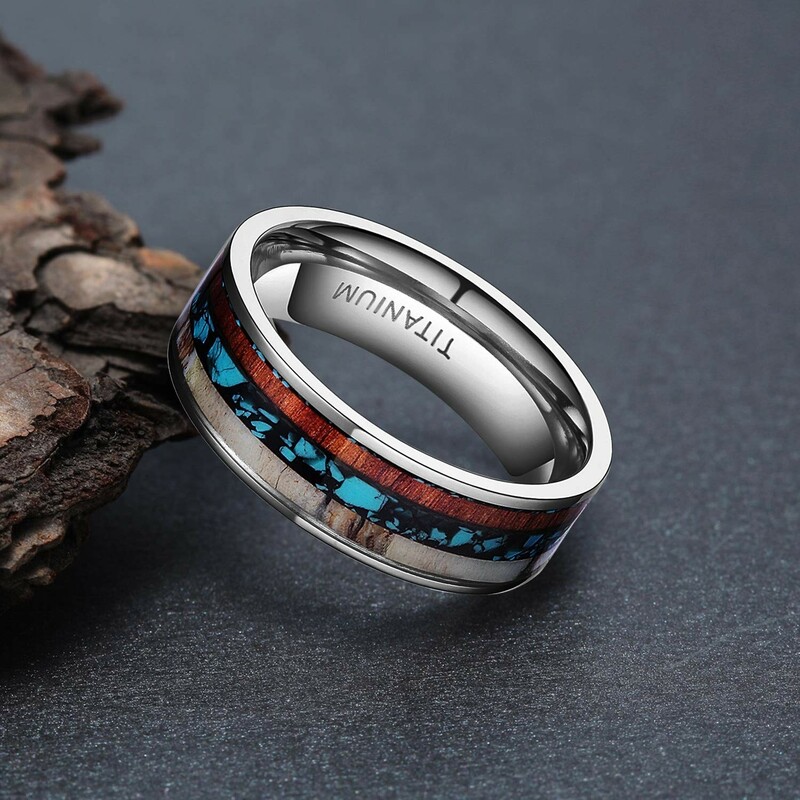 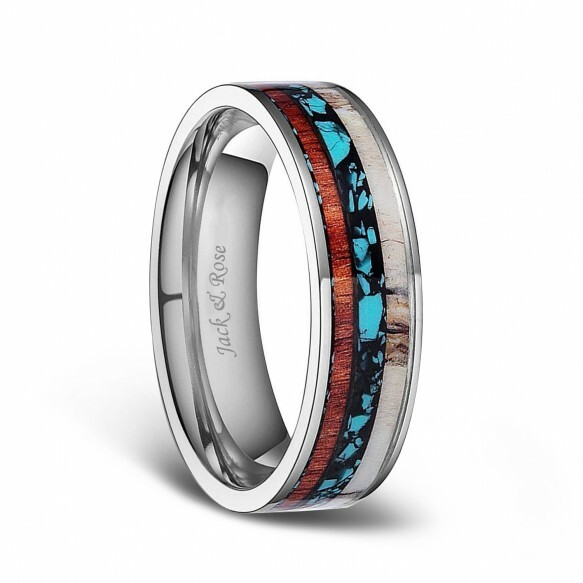 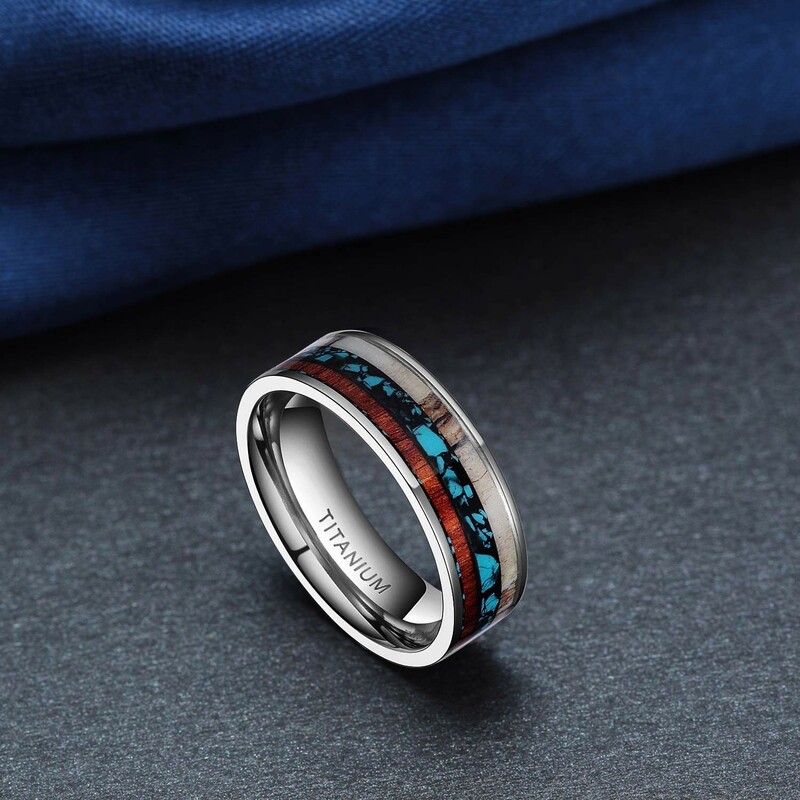 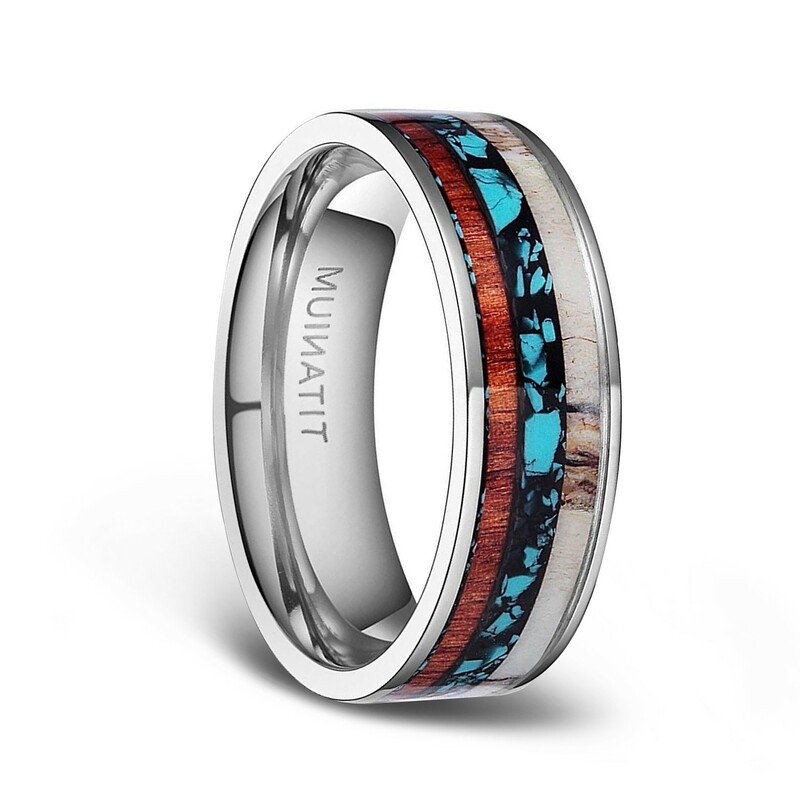 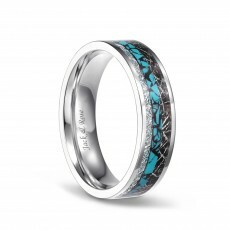 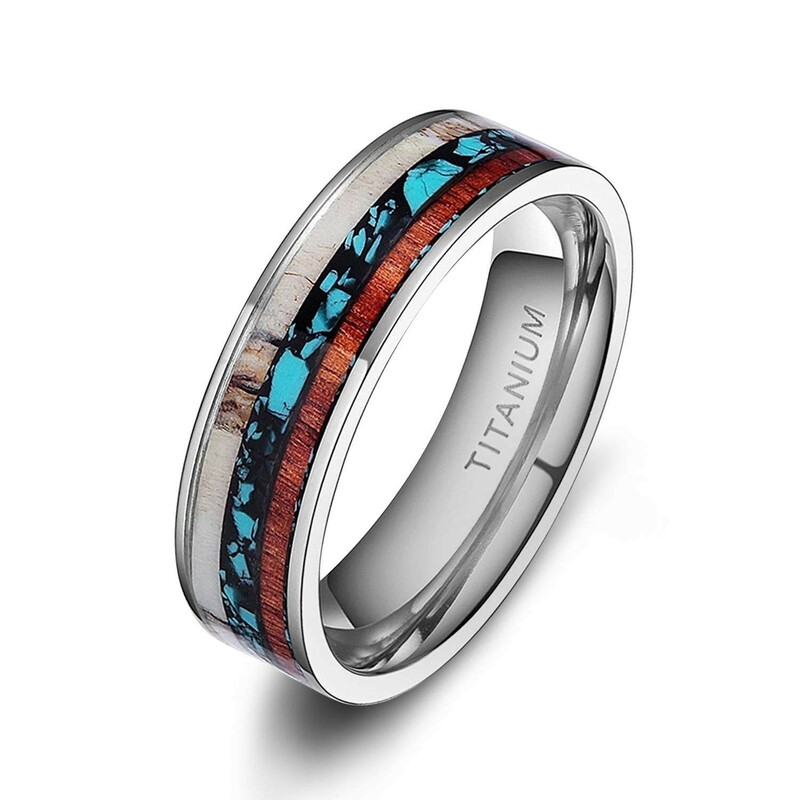 This ring is made of antler, wood and turquoise inlaid. 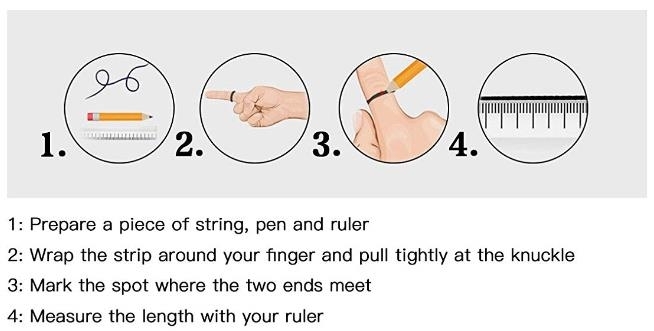 The wood has a layer of resin that makes the wedding ring waterproof. 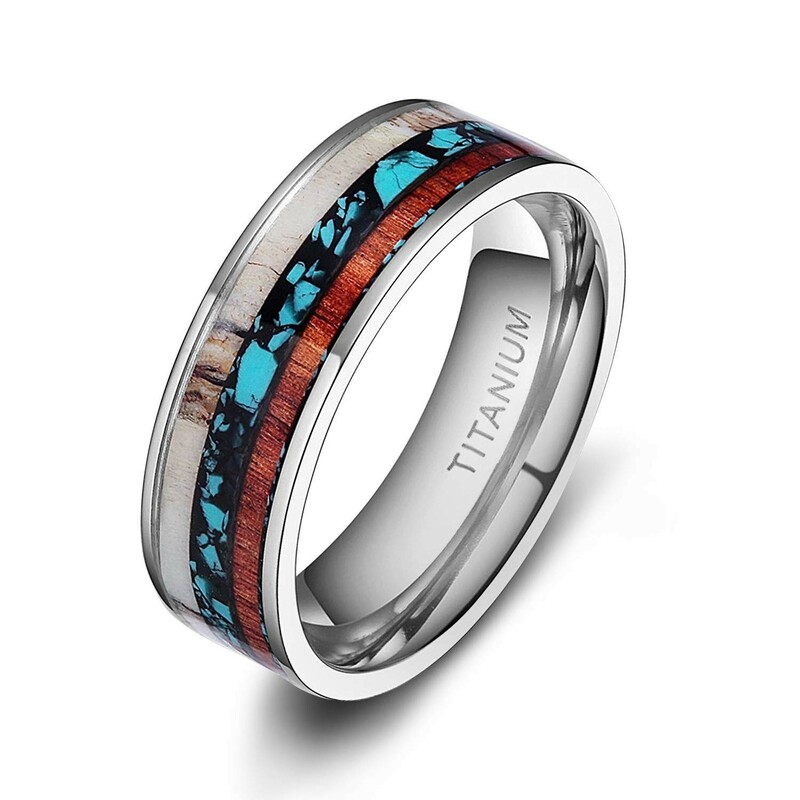 Titanium rings are flat and fit comfortably. 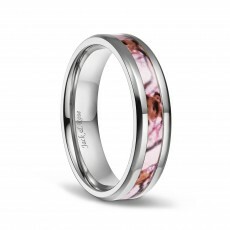 The titanium part of the ring, polished and is a beautiful silver color, and puts off a brilliant shine. 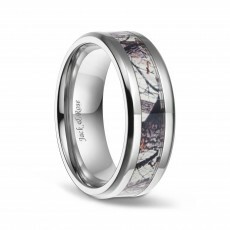 It's the best gifts for engagement, weddings, valentine's day, Thanksgiving, Christmas and New Year's.